We love to hear your stories. You, our customers have the greatest stories and give us confidence that we are on the correct path. This contractor was so excited to find out about Big Wally’s Plaster Magic that he drove 2.5 hours here from Boston. We would like to thank Nick for his story. It was well worth the trip from Boston to pick up your product. We used all of the tubes in the contractor pack and all the buttons (350 total) the walls were a mess. 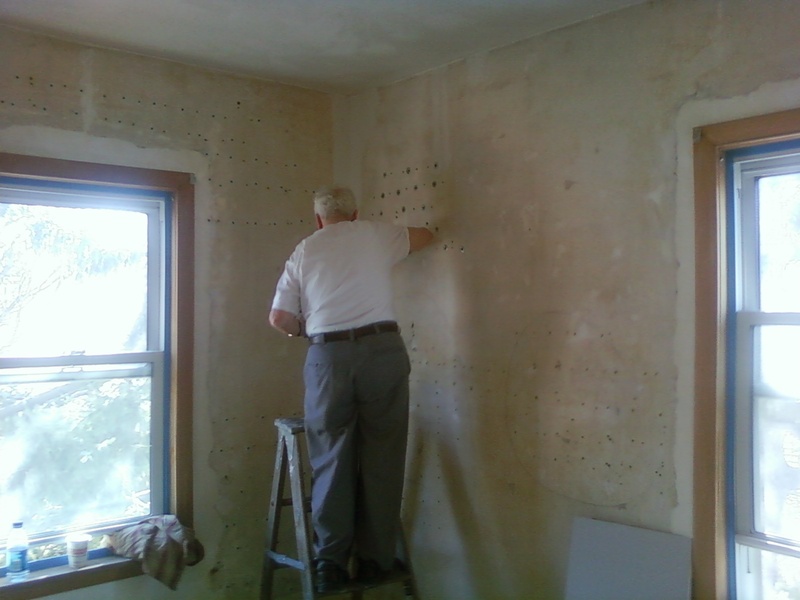 But not any more, the customer is happy and I’m happier, your product saved me at least a week of demo and sheetrock work. Enclosed are a few pics of the walls. And that’s my 75 year old father who founded the Company over 30 yrs ago.